Search Engine Suggestions features funny suggestion from the major search engines. Try these searches out for your self or submit humorous suggestions you find yourself! I prefer to call him a used towel instead of a douche. 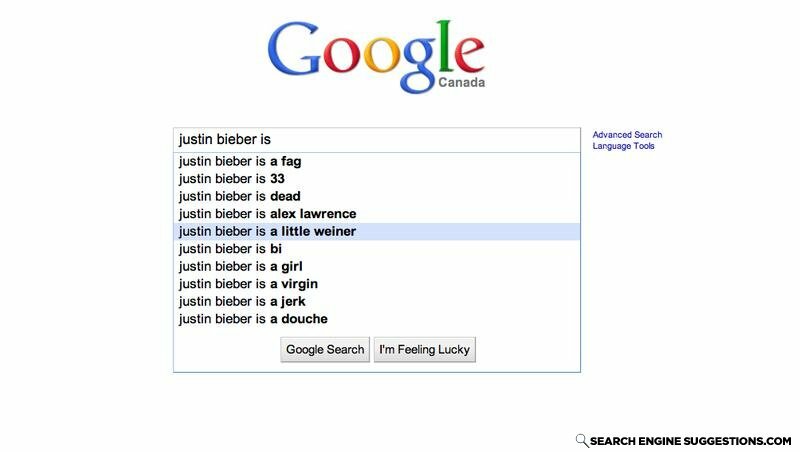 Correction: Justin Bieber has no wiener. What do you call a dog with 2 legs? Doesn't matter, it's not going to come anyways. knock knock. whos there. interupting cow. inter... mooo! ©2008-2019 Search Engine Suggestions. All rights reserved.